iceland is a cool passion. i have shared it for over twenty-five years now. i fell in love with the country back in 1986, when i saw esja and the streets of reykjavik on tv for the first time in my life. ever since, my passion has been uninterrupted, with occasional outbursts. a week or so ago i listened to a bbc radio show called 'excess baggage', recorded in iceland, and listening to it on my i-pod, on my walk through the local trebjesa wood, my passion burst out again. the emotions this distant and exotic land incites in me are profound, supra-rational, and warm. as soon as i got back home i took a book off the shelf which had been waiting to be read for a year or two - the historical novel 'the virgin of skalholt' by gudmundur kamban. a year or two ago, on a similar icelandic spree, i ordered this novel through abebooks, but when it arrived i was overwhelmed with other things and my passion for iceland had been lulled for a while. when it got out in the open again, i reached for the book, and am now immersed in romanticized pages of icelandic history. and i love it so, so much. however, one fact about this book additionally touches me. 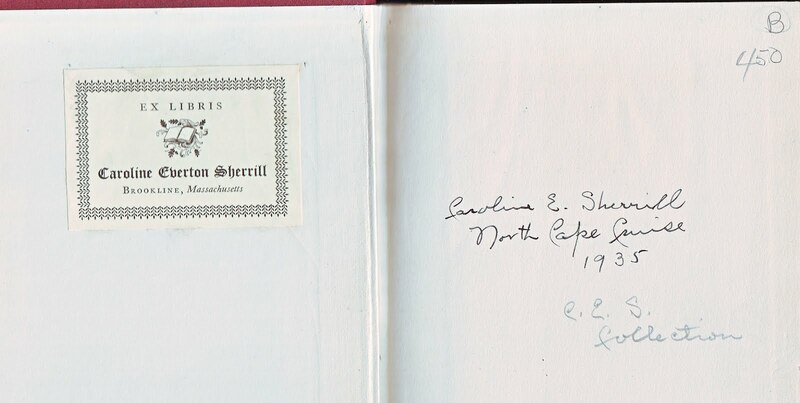 the copy that i have is a 1935 edition, translated into english from the danish, and it belonged to a certain caroline cherton sherrill from brookline, massachusetts. the book dealer that sent me the book was in portland, oregon. 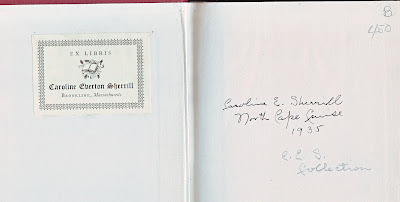 so, this exact copy of the novel has made a journey through languages, decades, and geographical spaces, recycling a passion for iceland all the while. i will probably not be willing to part from this book for yet a while, but i know that one day i would like to pass it on to someone who would be eager to keep the icelandic flame alive.